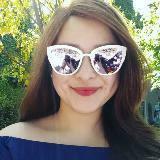 Free Korean skincare samples added in every skincare purchase! All products are 100% authentic. Happy shopping. Includes dust bag. Interior and exterior look almost new with the outer zipper and logo having been scratched a bit overtime. Scratch resistant saffiano leather. 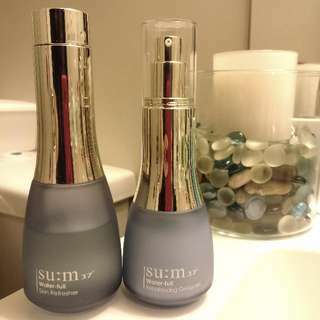 Set includes luxury Korean Skincare brand, 70% su:m37 Water-full Skin Refresher & 80% of Water-full Rebalancing Gel Lotion. Original price in Korea retails for $100+. 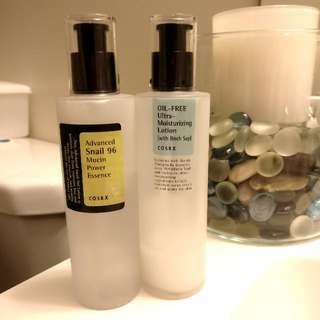 Set includes 60% of Cosrx Advanced Snail 96 Muscin Power Essence & 20% Cosrx Ultra Moisturizing Lotion. 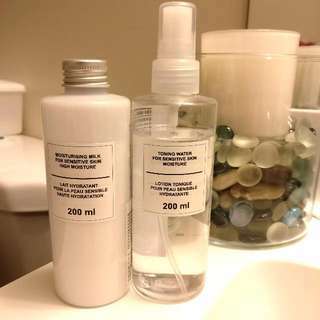 Both incredibly hydrating, and have many rave reviews online for being one of the simplest, yet effective Korean skincare brands. A great set to test out the most coveted Cosrx products. 80% left. 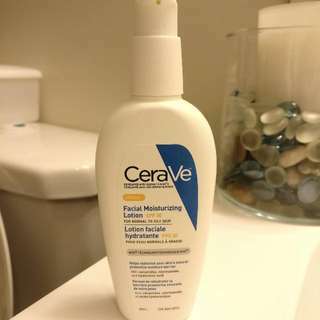 Great for a one-step face lotion full of ceramides with SPF protection!